We are open to the public and provide work experience for adults with learning disabilities. We have a lovely cafe and monthly events. Dogs welcome. Sitting in a picturesque valley just on the outskirts of Bolton Town Centre, Heaton Fold Garden Centre has everything you need to create your dream garden from seasonal bedding plants, perennials, composts and decorative aggregates to ceramic planters, garden furniture, pots and ornaments. We stock a selection of seasonal giftware and a range of garden sundries to suit all pockets. You can also relax with a drink and a bite to eat in our licensed café which serves a range of snacks and light lunches including our delicious Afternoon Tea. 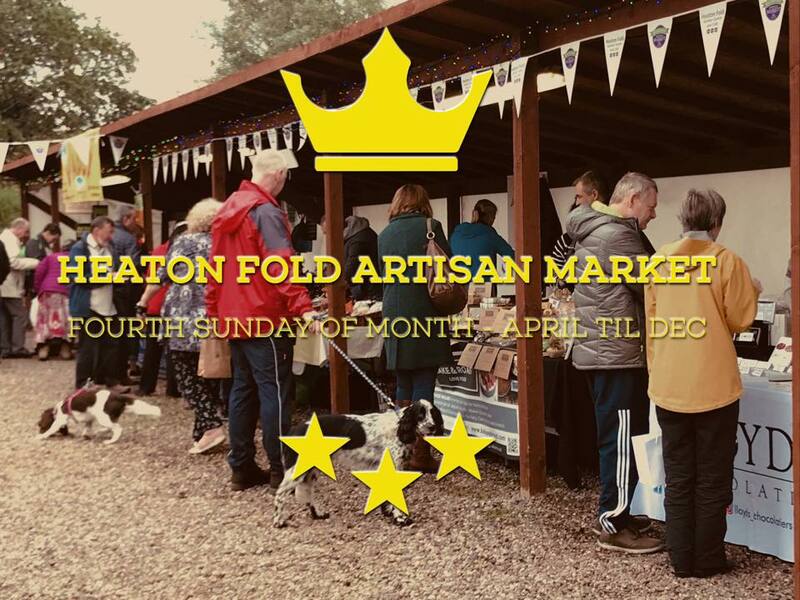 We will be back at Heaton Fold Garden Centre in 2019 to host the fabulous Artisan Market. There’ll be 30+ artisan craft & food stalls taking part as well as some amazing street food vendors each one hand picked to ensure a high standard, professionally run market with a wide variety of stalls to browse. Please be advised that the cafe will be limited to selling drinks only - of course the garden centre will be open as usual! It’s free admission into the market so why not pop down and show your support for our local independent businesses!! The perfect way to spend a Sunday! !